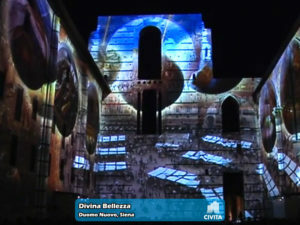 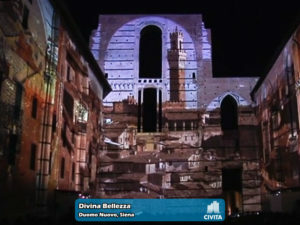 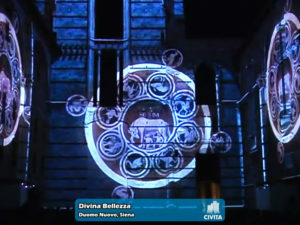 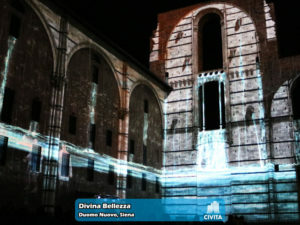 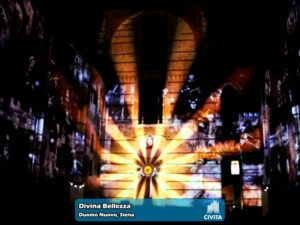 A 400.000 ANSI Lumen brightness and a 7.000 pixel resolution generated by a whopping 16 Barco video projectors, a 40 minute show with roughly 50 co-star artists and artisans from Siena, 500 seats for the general public with 3D audio devices in four different languages, an architectural 650 sq.m. 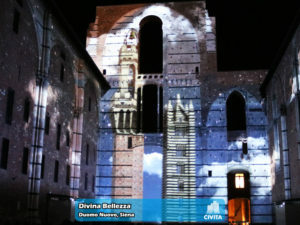 triple screen originated from the Facciatone, the so-called and never completed Duomo Nuovo in Siena: these are the tremendous figures of Divina Bellezza, the event that even this year made the tourists of the beautiful city in Tuscany, popular not only for the very well-known Palio, dreaming. 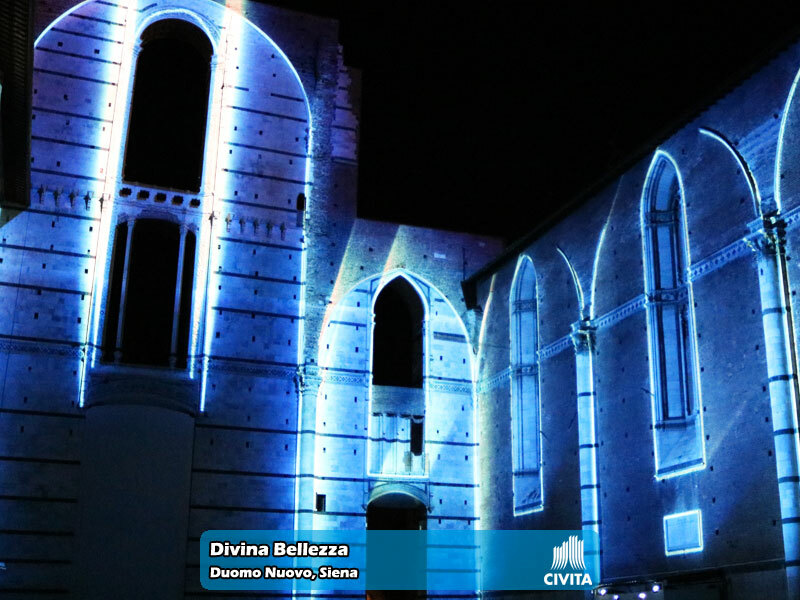 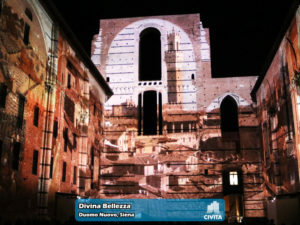 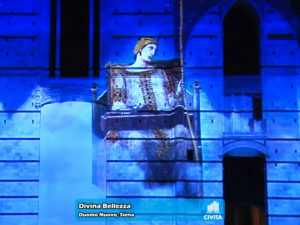 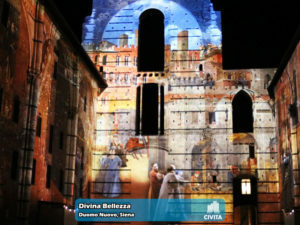 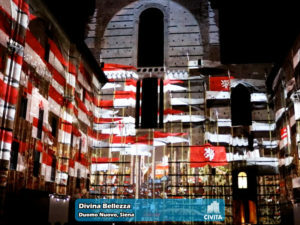 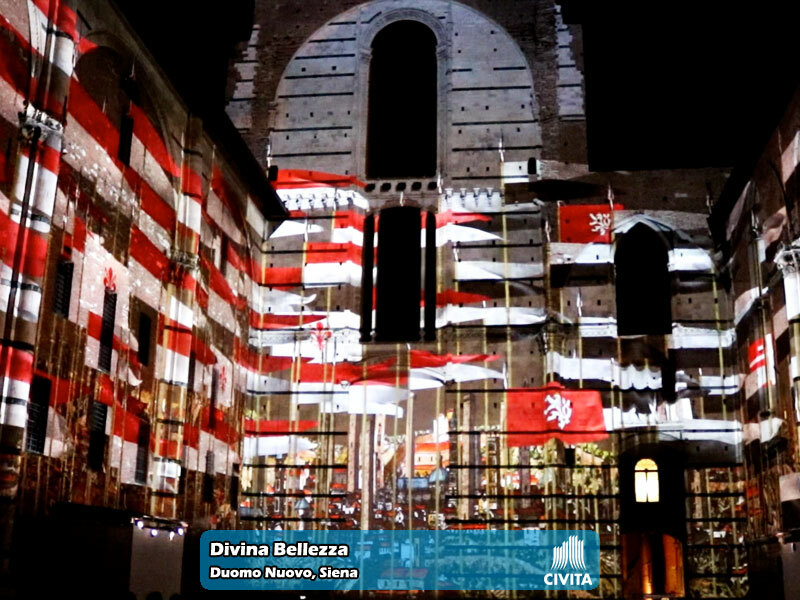 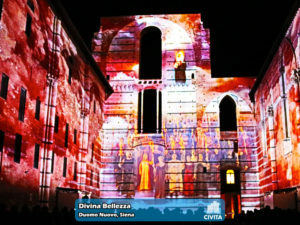 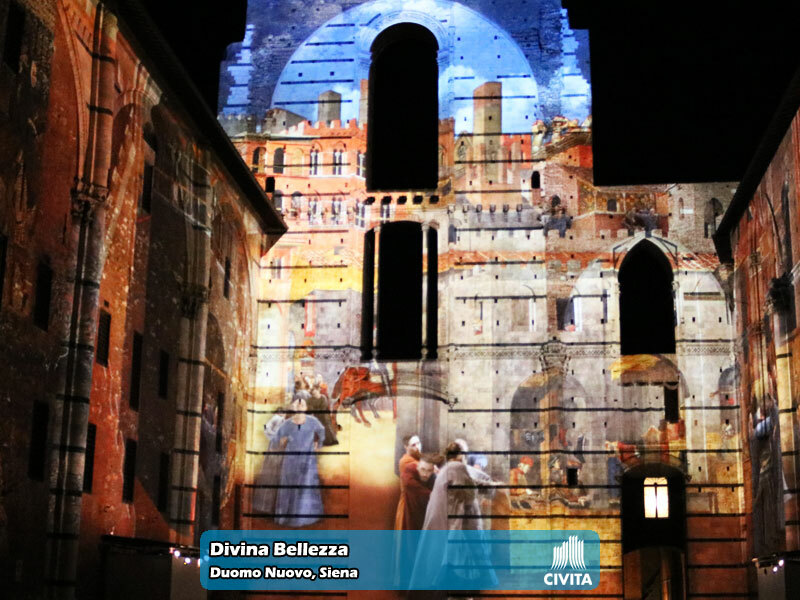 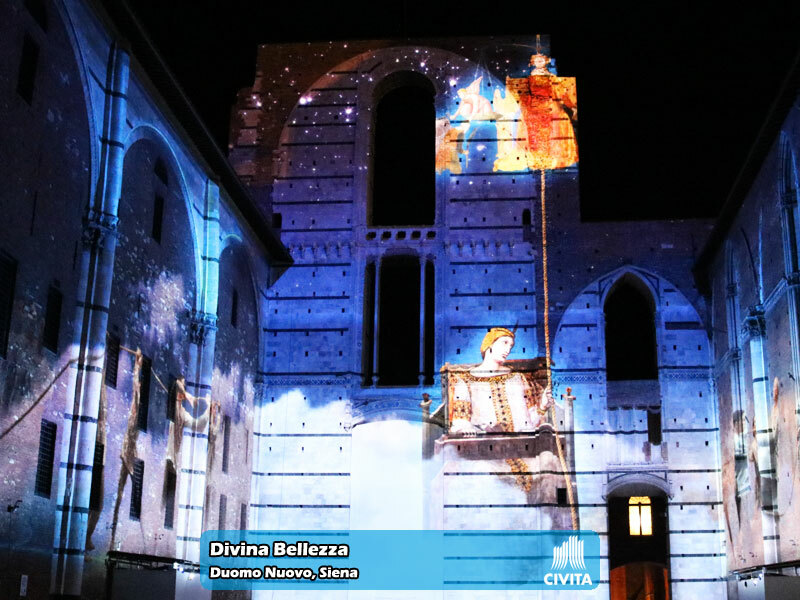 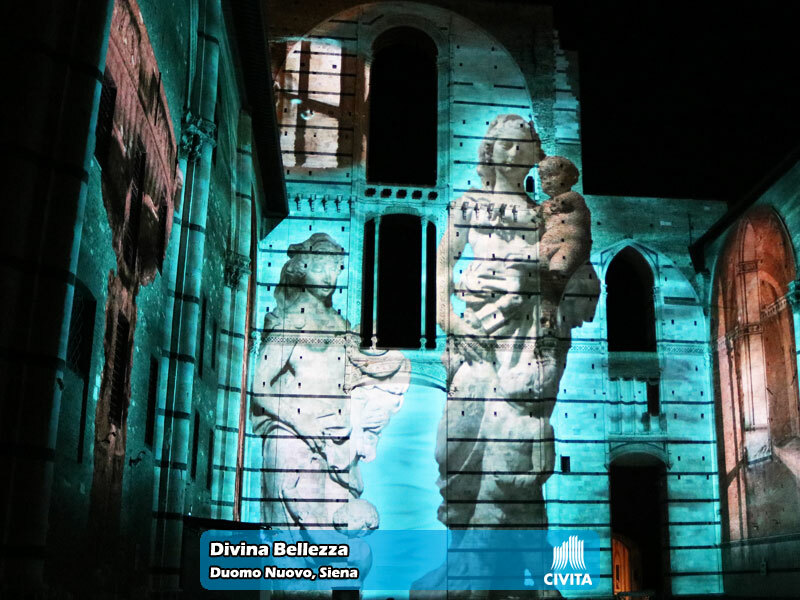 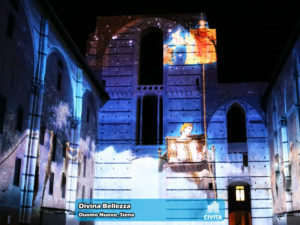 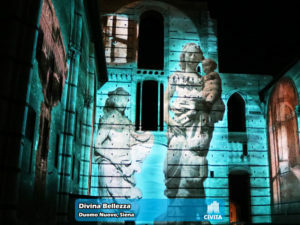 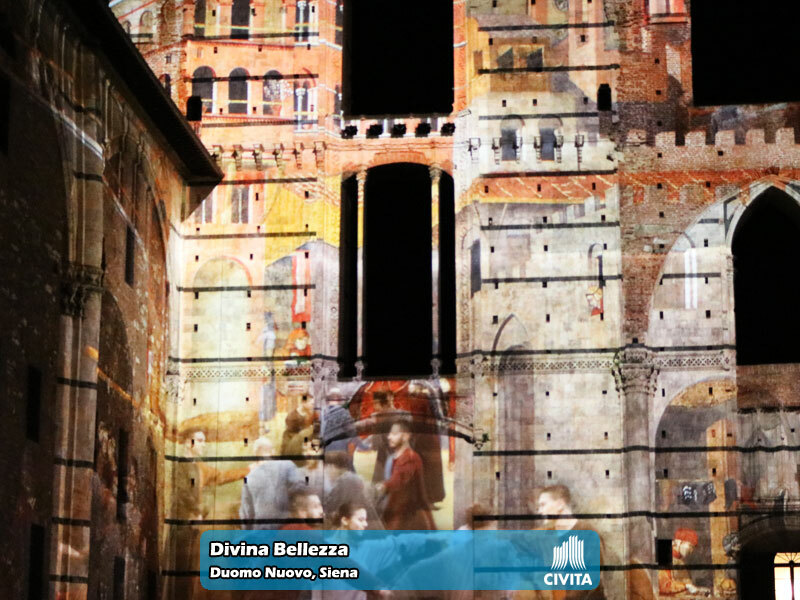 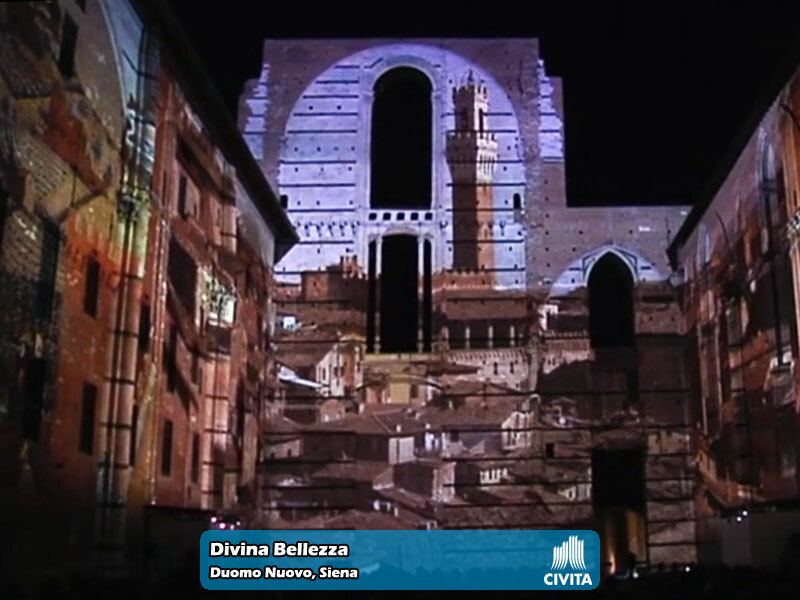 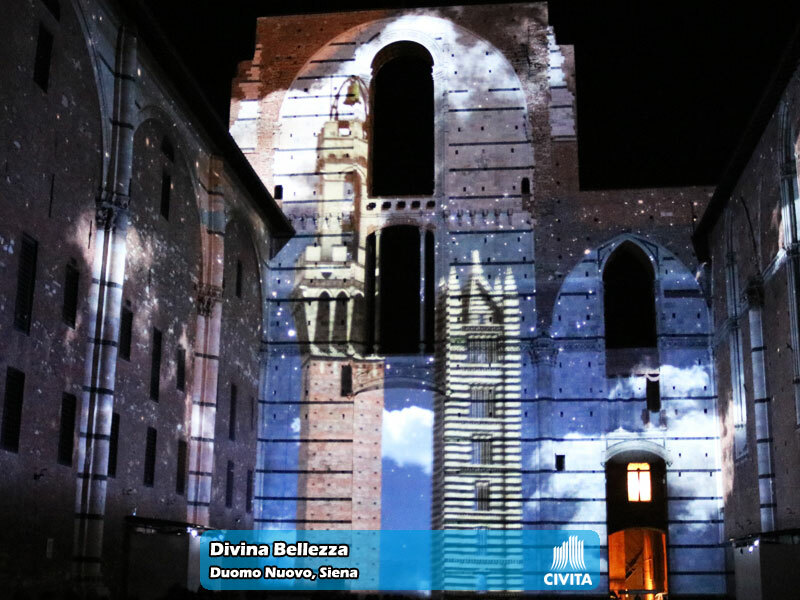 From the 4th July to 30th September, in fact, the magic of video mapping carried the numerous audience gathered in Piazza Jacopo della Quercia through a fantastic sensory journey into the history of the municipality of Siena, across its ateliers, artworks, traditions and secrets. 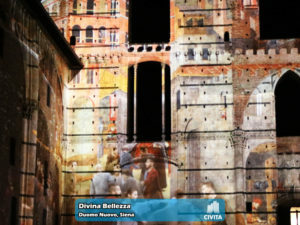 On top of this and in addition to past editions, the exhibition of the local workforce took place, protagonist of a tail focused on the good administration and the ethics values, on that Concordia very dear to the painter Ambrogio Lorenzetti. 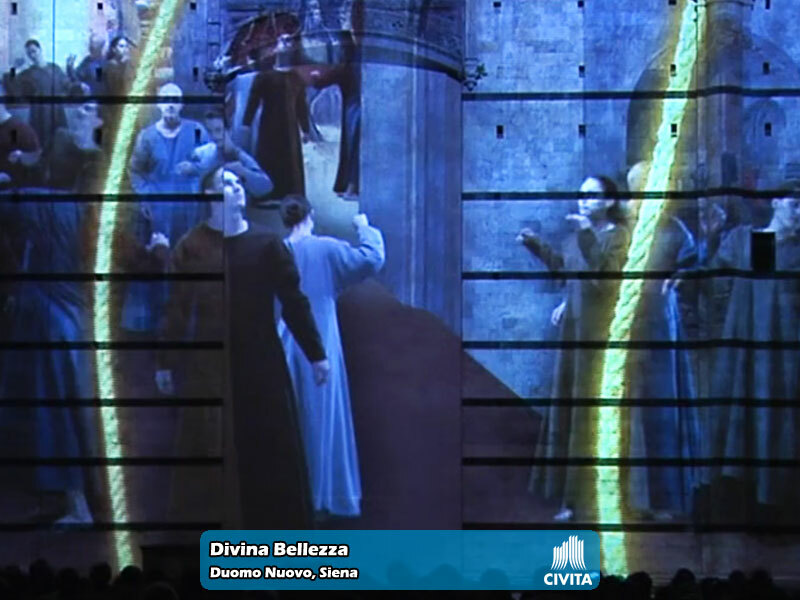 The astonishing project has been supported by Opera della Metropolitana di Siena and by Comune di Siena, created by the duo Associazione Civita – Opera and realised by Unità C1 in cooperation with Moviement HD. 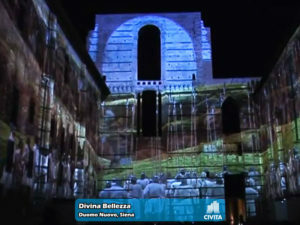 The video projectors supply, on the other hand, has been equally shared between IC Videopro and Service 2 Service. 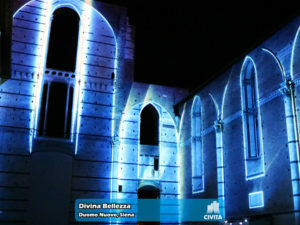 Eight Barco HDF-W30 Flex (30.000 Lumens) and eight Barco HDX-W20 Flex (20.000 Lumens) have indeed been used. 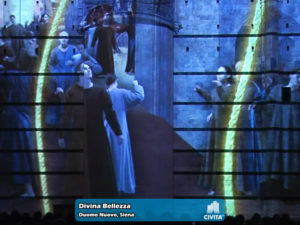 The contents management has been handled through Watchout server by Dataton. 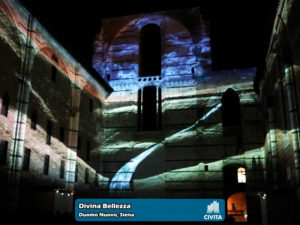 All the video equipment has been installed and daily supervised by the technical staff provided by Service 2 Service in order to guarantee the success of the event!